Having already established himself as member of John Mclaughlin's jazz and Indian music ensemble Shakti, violinist L. Shankar set himself up as a virtuoso leader in contexts ranging from Indian classical music to modern hybrids featuring synthesizers and drum machines. Through it all, he brought the unique sound of his 10-string double violin (from an original design) to dates featuring the likes of Zakir Hussain, Frank Zappa, Peter Gabriel, and Steve Vai. For this 1980 session, the violinist focuses on the traditional ragas of his native India, with two extended pieces. 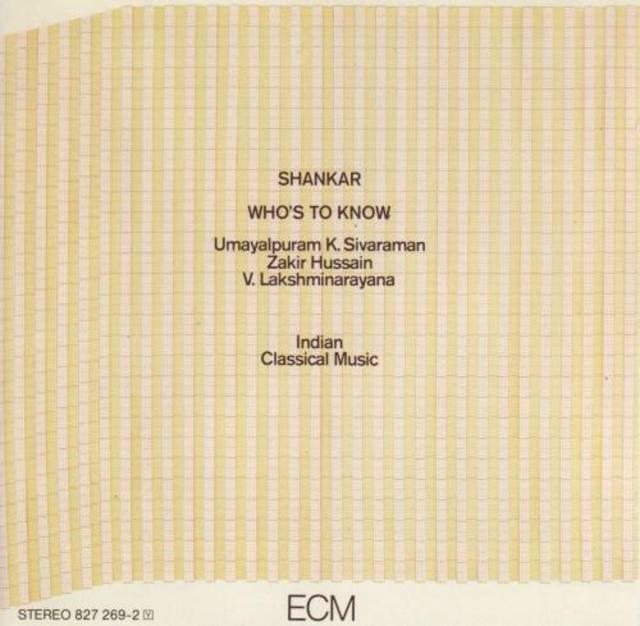 Joined by Hussain on tabla, Umayalpuram K. Sivaraman on mridangam, and conductor V. Lakshminarayana, Shankar produces a wealth of solo climaxes while weaving myriad thematic improvisations. On the first raga (both pieces here are reconfigurations of traditional ragas), he moves from a meditative solo stretch to some frenetic interplay with Hussein, eventually ending the piece with an incredible, lightening-fast display of technique. The group opt for a more even-keeled pace on the second raga. Shankar is impressive again, while Hussein makes the best of some lengthy solo spots. An essential disc for L. Shankar fans.